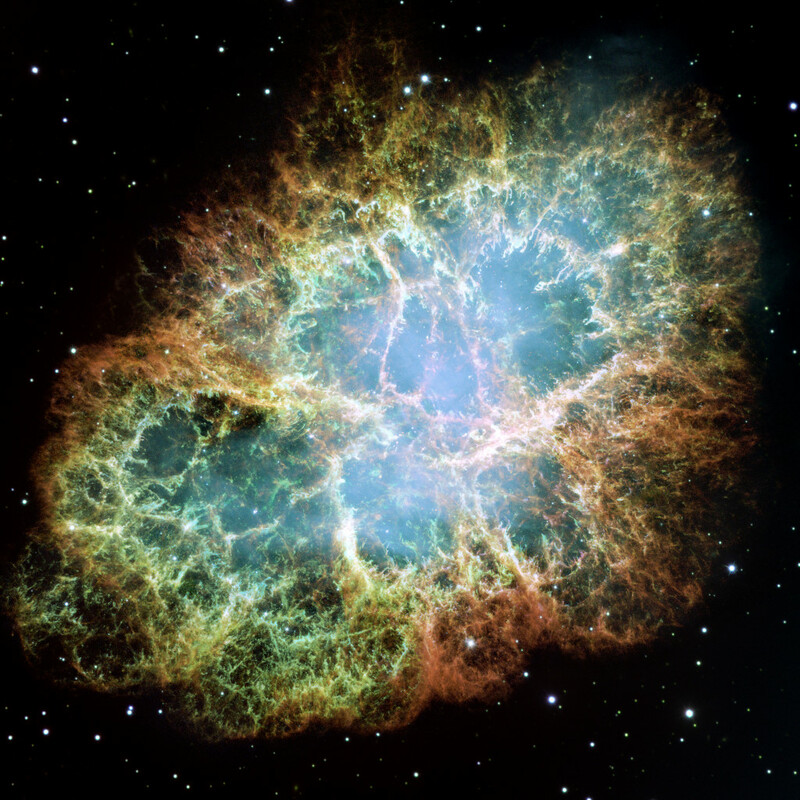 Mosaic of the Crab Nebula, supernova remnant of SN 1054, taken by the Hubble Space Telescope in visible light. Credit: NASA/ESA. And this week, NASA’s airborne SOFIA observatory brought us more evidence supporting our connection to the rest of the universe. We know that, when supernovae explode, they expel enormous amounts of stellar material into space. However, it wasn’t clear whether or not clouds of large-scale dust could withstand the shockwave that is created by these events. As such, measurements were taken of remnants found in the midst of an ancient supernova that wanders abound near the center our galaxy, in the remnant that is known as “SNR Sagittarius A East.” We made these observations in order to gather more evidence about planetary formation and the birth of solar systems. And we were not disappointed. 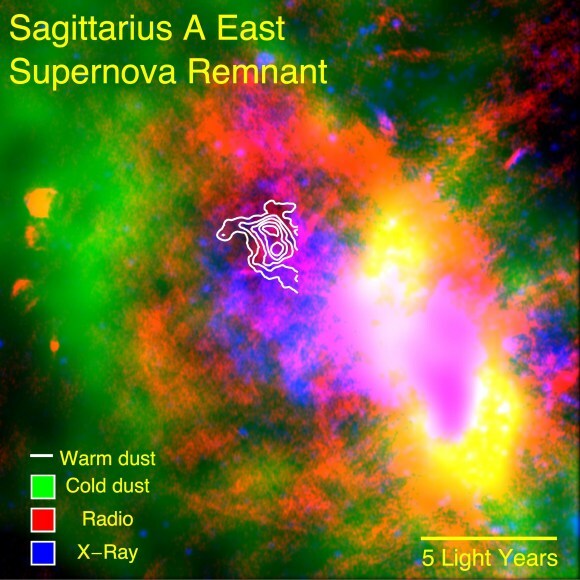 The observations were made with the Faint Object InfraRed Camera, which was designed for the SOFIA Telescope (FORCAST) instrument, and ultimately, they provide us with the key “missing-link”—with the evidence that dust clouds do survive intact, spreading outward into interstellar space to seed the formation of new systems and, as a result, are eventually able to give rise to lifeforms like what we see on our own planet. Ultimately, the measurements show that this mammoth structure contains enough “starstuff” to build our entire planet many, many thousands of times over. In the end, this is just more evidence supporting our connection to the cosmos. The universe is just not something off in the distance, some twinkling star that we gaze at with wonder and delight. The universe is within us. Understanding Quantum Mechanics: What is Electromagnetism?